Brain's limbic system. 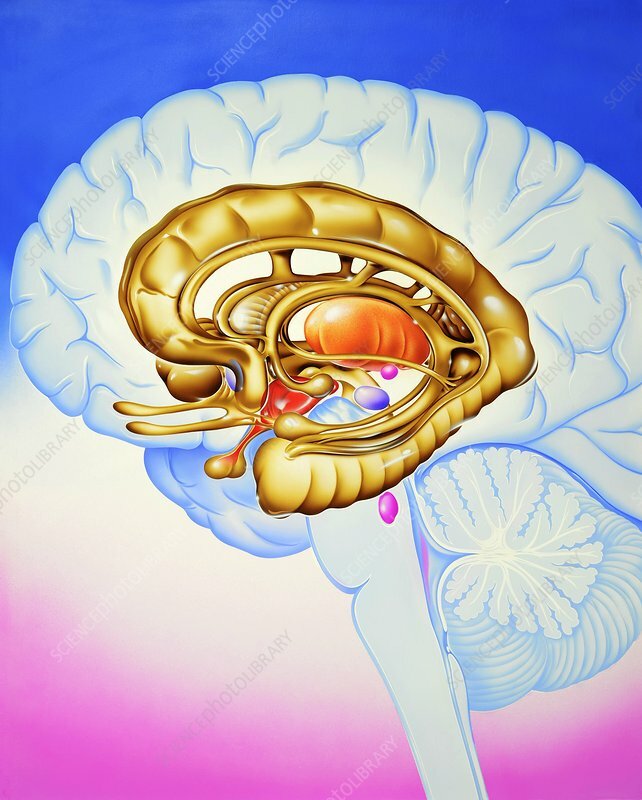 Artwork of the structures of the limbic system of the brain, the complex network of nerve pathways involved with expression of human instinct and mood. The front of the brain is at left. These regions, found deep inside the brain, include the reticular formation, the thalamus, the hypothalamus, the mamillary body, the amygdala, the hippocampus, and the caudate nucleus. Activities governed by the limbic system include self-preservation, reproduction, expression of fear, rage, pleasure, and the formation of memory.